Most people with heartburn, GERD, acid reflux, abdominal bloating and cramping have no idea that their symptoms may be the result of a lack of stomach acid, and not an excess of stomach acid. And yet these same people may be taking over-the-counter antacids or prescription acid blockers such as proton pump inhibitors (PPI’s) for the purpose of reducing their stomach acid. This choice of reducing stomach acid can and likely will have devastating consequences to your health and to your entire digestive terrain. In order for pepsin to be released, the stomach needs to have a low and acidic pH. If the pH of the stomach is too high, protein will not be adequately broken down into the necessary, smaller constituent peptide chains. In addition, much emerging evidence suggests that hypochlorhydria (low stomach acid) can also induce mineral deficiencies. Numerous medical studies clearly show a link between hypochlorhydria and iron-deficient anemia. Emerging studies demonstrate hypomagnesemia (severe magnesium deficiency) is present among longterm proton pump inhibitor (PPI’s) users. PPI’s wipe out massive amounts of stomach acid. Mineral deficiencies in those with hypochlorhydria may largely exist due to the need for stomach acid to separate the mineral from the food or from the mineral salt. ‘Functional Alkalosis’ is a term which signifies a loss of the hydrogen ion. Hydrogen is one primary component of hydrochloric acid. If too much hydrogen is lost through the kidney, consider this a cause of low stomach acidity. Also, in order for the stomach to produce adequate levels of stomach acid (HCL), there must be sufficient chloride, sodium and zinc. Many athletes may loose high amounts of chloride and sodium through sweat. Zinc is a mineral that is increasingly difficult to obtain because it is often deficient in standard diets (including vegan and vegetarian diets). Other causes of hypochlorhydria include the regular administration of bicarbonates, acid blocking drugs and antacids. Certain protein-deficient diets may also result in low levels of stomach acid. Recent research seems to indicate that the stomach bacteria H. Pylori appears to have an inhibitory effect upon the production of stomach acid. Free Practitioner Training Webinar – Diving Deep Into Functional Lab Test Analysis. 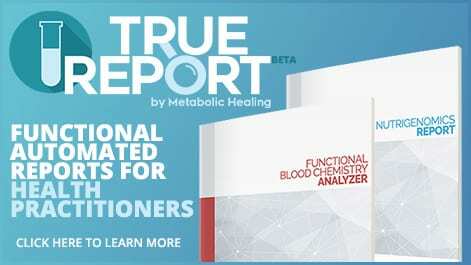 Learn how to pair functional lab tests to create effective protocols. It is very important to point out that a lack of stomach acid has far reaching effects, which extends far beyond the digestive system. Studies conducted on longtime users of PPI medications have shown that the antacid class of drugs causes osteoporosis in many instances, as well as increasing the risk of bone fractures. Individuals with hypochlorhydria may also have distress in other parts of their digestive system. If adequate levels of stomach acid are absent, there may also be pancreatic enzyme deficiencies, bile insufficiencies, putrefaction of bacteria in the gut and even stress placed upon the kidneys and liver. After acidified food passes into the duodenum, the pancreas is signaled by the hormone CCK (cholecystokinin) to produce the necessary pancreatic enzymes to further digest protein, fat and carbohydrates. If adequate stomach acid is not present, CCK will not be properly triggered, because this hormone is signaled by pre-digestion and by acidification of food. The result can leave large amounts of undigested food to pass into the intestines, contributing to the growth of opportunistic organisms as well as imbalances of intestinal flora and autointoxication. When there is a lack of stomach acid, there may also be high amounts of nitrogenic waste in the blood. This can be reflected in blood chemistry through a BUN (blood urea nitrogen) of 20 or greater. Excess nitrogen waste from improperly digested protein (due to lack of stomach acid) places stress upon the liver and kidneys. The most definitive way to assess hypochlorhydria is through the Heidelberg pH test. This method is quite invasive. Hypochlorhydria can be assessed indirectly through a correlation of symptoms and through laboratory factors such as blood chemistry, urinary indican, as well as Hair Tissue Mineral Analysis (HTMA). On a blood test, one of the most obvious signs of hypochlohydria is a Chloride score less than 100. It should be pointed out that other factors should be evaluated, including: Total Globulin, Bicarbonate, BUN, Anion Gap and Mean Corpuscular Hemoglobin (MCV). Many people resort to HCL nutritional supplements. This may induce some positive reduction in symptoms for some people, however an intelligent strategy would be to support an entire person’s health. Its important to address that not everyone with chronic hypochlorhydria experiences relief from HCL supplementation. This may be due to the fact that the amount of hydrogen in HCL is insignificant compared to what should reside in the stomach. HCL only contains roughly 1-2% hydrogen. Additionally there may be underlying mineral and electrolyte insufficiencies, pathogenic infections, and a poor diet, all which contribute to digestive symptoms. Great article! After being on a PPI off and on for a couple of months in Oct and Dec I developed very dry hair that falls out easily and consistent abdominal tightness since mid December that has gotten worse. My theory is the PPI’s reduced my acid too much! I had never had acid reflux before so I had no idea and just took what the doctor gave me. It is make the pain go away but these other things are much worse to me. So it is true that abdominal tightness is a symptom of low stomach acid? I’ve been having a hard time finding info on the tightness. Thanks! !